“We would recommend him to friends and family in the future. We didn’t require his services for this particular job but his customer care is outstanding! We called him to replace a window in our home on a Sunday. Not only did he get back to us immediately, he let us know that we contacted the wrong company and referred us to a company that could help us. He explained that if he did come out and do the job he would replace the entire window and what we actually needed was just a glass replacement, saving us a lot of money. He was professional and very easy to deal with. 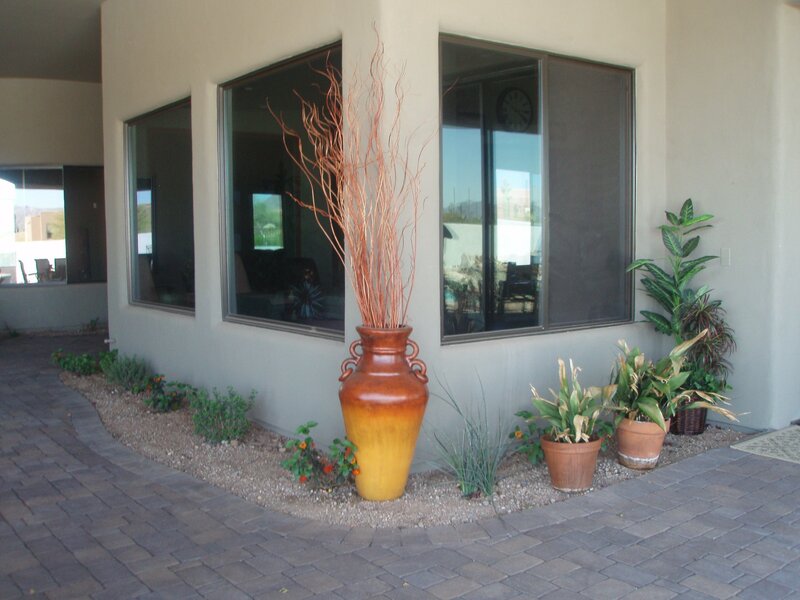 Fiberglass windows are a popular choice in Arizona. While more costly than vinyl, fiberglass windows can be easily painted or stained, can be slightly more energy efficient than vinyl windows (depending on the specific window chosen) with durability that withstands year after year of Arizona sun. Fiberglass windows are impervious to rot and termites, and they have a longer lifespan than vinyl windows. They can also mimic the look of wood, a design feature important to some homeowners, and can have a thinner frame than vinyl, allowing more light and visibility into the home. What is Fiberglass? An extruded material of polyester resins impregnated with strands of glass into a shape that can be molded and shaped. Made from approximately 60% glass and recyclable when removed, fiberglass windows are an environmentally friendly choice. DunRite Windows & Doors offers a selection of fiberglass windows (and doors! ), and can discuss your options with a free estimate. Contact us today!